U3A in Sheffield has an admirable Lunch & Lecture event twice a year, and I was invited recently to be the “turn” with my lecture Fun Palaces: the history & architecture of the entertainment industry which, inevitably, includes a segment on Blackpool Tower. At the end of the lecture a gentleman came over and discreetly pointed out that I should not refer to the Tower’s most famous organist as “Reg” Dixon. To Blackpool people, he was and is always Reginald Dixon. In future, I mean to get that right. As it happens, Reginald Dixon was born and bred in Sheffield. He learnt to play at the Cemetery Road Congregational Church on the southern edge of town, and worked as a professional organist at, among other cinemas, the Heeley Palace, where he had to keep an eye on the level of the River Sheaf as it flowed past the building, in case it threatened to flood the orchestra pit. When he applied for the vacant post as organist at the Tower, he bluffed in saying he could play dance music, but his idiosyncratic style proved ideal for the demands of accompanying ballroom dancers, rather than silent movies, on an orchestral organ. His contract began in March 1930; he made his first radio broadcast a month later, and by 1933 was able to persuade the Tower Company to install a completely new, three-manual, thirteen-rank Wurlitzer with a carillon and an additional piano. 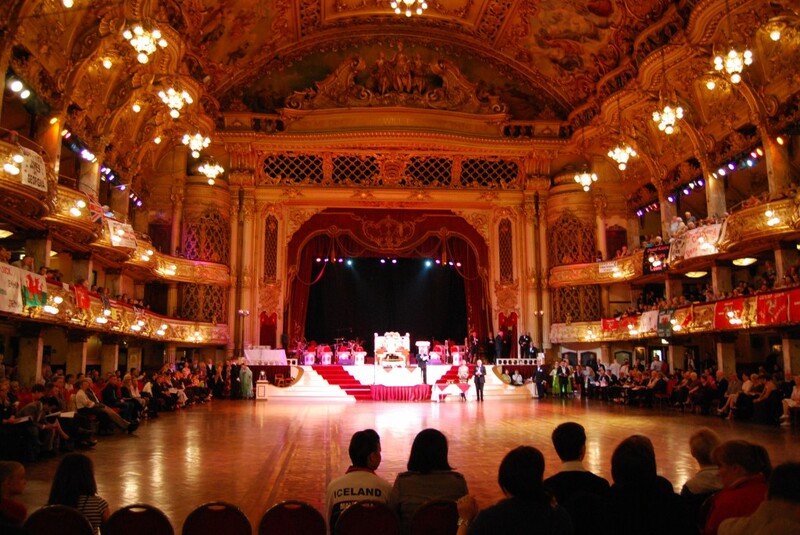 The original Tower Wurlitzer was transferred to the Empress Ballroom in the Winter Gardens. Reginald Dixon became one of the most potent of Blackpool’s legends. He is famed for ‘Oh, I do like to be beside the seaside’, but when he reinaugurated the Wurlitzer after the 1956 fire he began with the first tune he ever played in the Ballroom, ‘Happy days are here again’. He made a point of accompanying Christmas concerts and performances of Handel’s Messiah on the Wurlitzer. He switched on the Illuminations in 1956 and was awarded the MBE in 1966: he played his final concert at the Tower on Easter Sunday 1970. He died, aged eighty, in 1985. Actually, there was a Reg Dixon also. He was born in Coventry in 1915, and died in 1984. He was a comedian popular in the 1940s and 1950s, the closing years of variety. His catch-phrase was “I’m not well. I’m proper poorly.” There is interview-footage of him at http://www.britishpathe.com/record.php?id=78574 and further footage at http://deanocity3.piczo.com/coventrystvandradiopersonalities?cr=5&linkvar=000044. This entry was posted in Fun Palaces, Lancashire's Seaside Heritage, Victorian Architecture on December 27, 2013 by Mike Higginbottom.